Shifu Shi Xing Hao was born in Fushun City, Liaoning Province, China. His father believed in the traditional values of Chinese culture known as "Wen Wu." Wen denotes scholarly pursuits and Wu means martial arts. Shi Xing Hao's education in the martial arts was fully supported by his family, and he began his training in Wushu and Kung Fu at age 6. He demonstrated a natural ability, excelling in Chang Chuan (long fist) and perfected his four major weapons (staff, spear, sword and broadsword) at an early age. He was also encouraged by his father to cultivate Wen, so he studied Chan Buddhism. The word “shī​fu​” (pronounced sure-fu) means "master" or "teacher", “Shi” means "venerable" and is used as a prefix for Buddhist masters. By the age of 14, Shi Xing Hao had become a local Wushu Champion. He then had two choices on how he could further develop his Wushu training. His first option was a position on the Liaoning Province Wushu Team and the other was to go to Shaolin Temple for more training. He knew that Shaolin would be the best place for him to keep training and there would be so much available for him to learn. Shi Xing Hao began his training at Shaolin Temple in 1985. Shi Xing Hao was fortunate enough to be accepted as a student by two 31st generation Shaolin Temple Monks. Master Shi De Jun instructed him on martial arts while Master Shi De Ren taught him Chan Buddhism. In 1986, Zhengzhou City Officials recommended him for full scholarship study at Shaolin Temple, and by 1998 Shi Xing Hao received a 32nd generation disciple degree from Shaolin Temple. He spent the next thirteen years training and experiencing as much Kung Fu as he could at Shaolin Temple. His Shaolin name "Hao" means "great”, ”grand", or "vast". 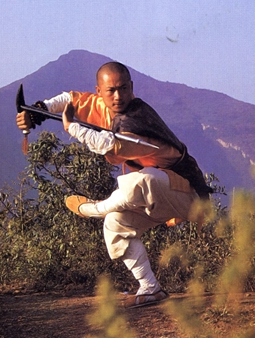 Shi Xing Hao's extraordinary martial skill brought him further recognition with some appearances in a few martial arts movies, notably USA Shaolin (USA 1991), Grand Shaolin (China 1992), and Heaven Wolf (Taiwan 1993). 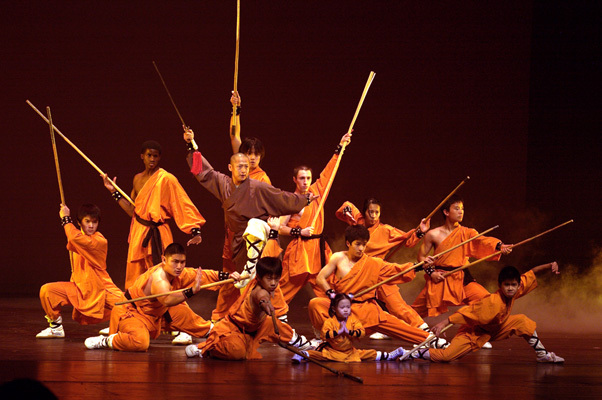 He was also featured in an unprecedented photo book Shaolin Warriors Motion like the Tigers, which focused on only three of the Shaolin Temple warrior monks. Shi Xing Hao has traveled all around the world demonstrating Shaolin Kung Fu. He has performed in many countries including Japan, Thailand, Taiwan, Singapore, Malaysia, Germany, Austria, Belgium, Denmark, Holland, Italy, Sweden, France, Canada, and the U.S. 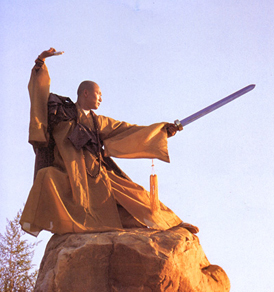 He was a performing member of the 1998 Shaolin Temple Monk delegation to America and remained here to teach. "Choose the right teacher, and then train continuously, without interruption. Remember to practice Wushu, never feel pain, practice Kung Fu, and never lose one day. All martial artists must have Wu De (martial morals), respect teachers and help the weak." After touring with the Shaolin Warrior Monks of Song Shan, our Master (or "Shifu") Shi Xing Hao opened the Shaolin Kung Fu Academy in 1998. 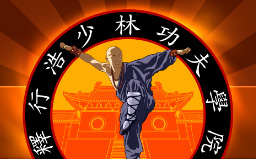 The Academy regularly provides Kung Fu and lion dance demonstrations around the Houston and surrounding areas in Texas and competes regionally and nationally for forms medals. Instruction is also provided in Tai Chi, Chi Gong, San Da, and Weapons Training. Students perform weapons routines, empty-handed forms, and choreographed mini-skits displaying the acrobatic prowess of many younger school members. Our Shifu stresses self-perfection through diligent practice and adherence to the Tenets of Shaolin Kung Fu.